Exchanging polite tweets with Opus One's CEO about Friday's post, I remembered the only time I've ever splurged for a glass of Opus One. This story will date me, but what the hell. It happened in 1995. Val Kilmer was Batman. Few people had cell phones, but hip kids carried pagers: you could call their pager number and they would call you back from the nearest pay phone. I had email already but often had to explain the concept to older people. 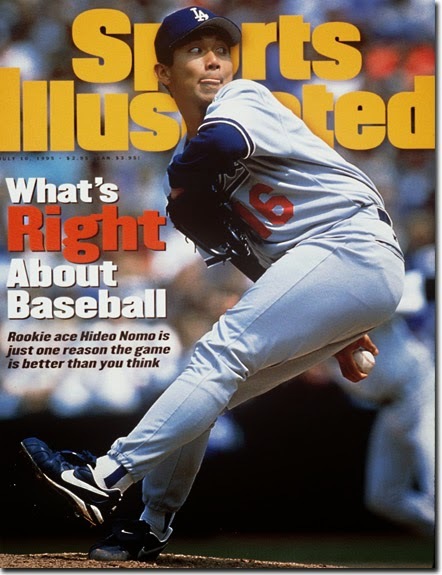 I was living in Japan, where Hideo Nomo was the biggest celebrity maybe ever. He was the first Japanese baseball player to become a star in the US and his exploits dominated the news every night. I don't remember why I was in Las Vegas on July 11, 1995. Northwest Airlines (!) used to sell Japan residents a 4-city ticket that would allow us to traipse around the US for little more than a single roundtrip fare. I must have decided it was worth seeing Vegas since the airfare was free. Turns out I hated it because I'm not a gambler, the city is so artificial, and you can't walk outside anywhere during the day in Nevada in July. I was in an air-conditioned casino looking at the sports book when I saw a proposition bet: "Strikeouts by H. Nomo." Nomo was starting the All-Star Game, which was the lead story in every Japanese paper. He deserved it, as he was 6-1 with a 1.99 ERA for the LA Dodgers. He got clobbered in Colorado for seven runs in his second major-league start, an event that had a Japanese coworker of mine considering hara-kiri. But since then, he had a 1.45 ERA in an era when many hitters were taking steroids, but only Bud Selig, every team's manager and trainer, and every single beat reporter covering MLB knew it. Now we're used to the idea that Japanese pitchers have weird windups and throw a lot of splitters. But he was the first, which both made it harder for hitters and made him uniquely interesting to watch. NHK, Japan's national network (like the BBC), interrupted its programming to show every Nomo start. His catcher, Mike Piazza, was an instant celebrity in Japan and could have run for mayor of Tokyo. So I was intimately familiar with Nomo, but this was before interleague play, so nobody in the American League had seen him. He was averaging 1.3 strikeouts per inning, incredible for a starting pitcher. Nolan Ryan, the all-time strikeout leader, averaged less than that in every season* of his career. The proposition bet set the over/under at 1.5 strikeouts. This meant that if Nomo struck out 2 batters, I'd win if I bet the over. Back then, the starting pitcher in the All Star Game usually went two innings, unless he got clobbered in the first, which happened. Some players weren't motivated, which is why MLB eventually made home-field advantage in the World Series dependent on the ASG. But I knew Nomo would show his "fighting spirit" because his entire nation was depending on him. To win the Over bet, it didn't matter if Nomo gave up three homers. He just had to strike out two guys. Having watched a lot of his starts, I felt like this was a certainty. You know that phrase, "I'd bet my life on it?" Turns out Vegas will not accept one's life as a stake. I didn't have a US bank account or even a credit card. I had a single Japan-based debit card with which I was planning to cover all my expenses for the entire trip. I didn't think I had any way of using a US ATM, so I had brought some cash for when I couldn't use the card, and I had about $1200. I spoke to someone at a cashier window about charging more money on my debit card. A manager came out and talked to me, heard my story, looked at the card, and declined. So I bet all the cash I had, save a single $20 bill. Did I mention I'm not a gambler? Unless you count the stock market, this is the largest bet I've ever placed in my life by a factor of 24. This went down about two hours before the game. It occurred to me that if I lost, I might really need that $20, so I nervously wandered around the casino. Just before the game started, I walked into one of its bars and said I needed a minute to decide what I would drink, and could I have a glass of water? My throat was really dry, and pretty tight as well. The National League hitters went down quickly in the first inning, Randy Johnson striking out Barry Bonds to end it. My heartbeat was racing, but still I felt confident. Kenny Lofton led off for the AL, and Nomo struck him out. I pumped my fist. Halfway there. Then Carlos Baerga singled. This was a disaster. What if Edgar Martinez -- one of the hardest hitters in the AL to strike out -- bounced into a double play, and the NL rallied in the second and pinch-hit for Nomo? I contemplated two weeks in the US with $20 cash. But Baerga was caught stealing. And bless Martinez, he fished for a splitter in the dirt and struck out. I won! My first feeling was relief. Then came the joy. $1200 paid for my airline ticket and my hotel rooms for days. I was making decent money for a writer, it's why I was in Japan, but still, this was a nice bonus. How should I spend it? Let's pause on that question a moment. I'm a young, single man, in Las Vegas, with $2400 cash in my pocket. Have you seen "The Hangover?" The movie wasn't even conceived yet, but I knew there was all kinds of trouble I could later regret, notably including losing it all back. Yet I wanted to blow some cash on a splurge. I went to a restaurant and they had Opus One on the by-the-glass list, at the outrageous price of $28. This was an insane amount to spend on a glass of wine then. I've never been a cheapskate about buying wine in restaurants, but you could get a bottle of first-growth Bordeaux for less than $200. So Opus One was perfect: a ridiculous expenditure on luxury, yet still only $28. 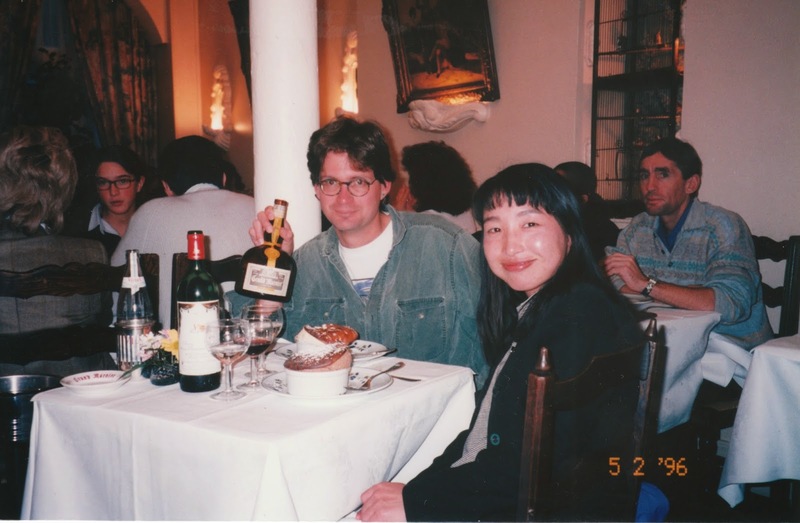 I don't remember what vintage it was, but it was probably 1992. Steve Matthiasson recently called the early '90s the golden era for California Cabernet, before its own steroid era in the early '00s. 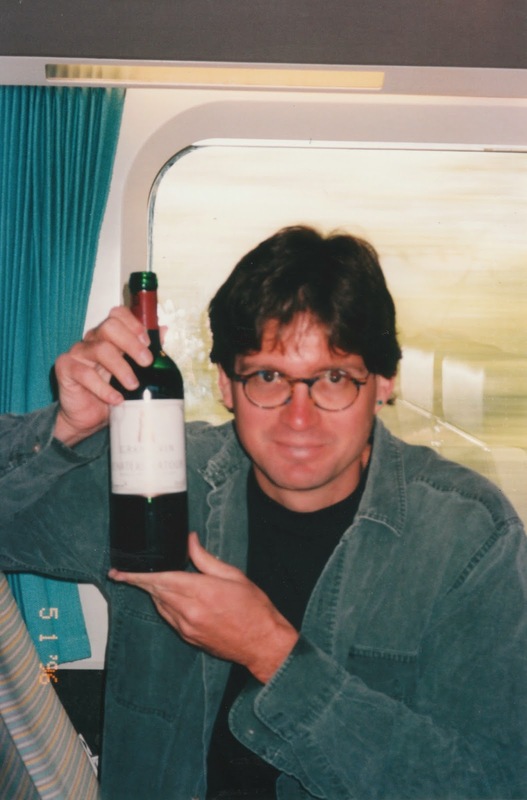 This was also before the advent of cult Cabernets. Screaming Eagle and Harlan Estate hadn't been released yet. Opus One was the gold standard for an expensive California Cabernet. And it tasted like it: it was rich and lush. It was plenty oaky, compared to the expensive Bordeaux I previously splurged on. But I liked it. As the man says in "Apocalypse Now," it tasted like victory. But really, it tasted like luxury. I don't drink Opus One today, not to mention first growth Bordeaux, because I can't afford it, because the wine world has changed and so many more regions make outstanding wine, and because I'm driven as much by curiosity as hedonism. Plus, as you can see in Friday's blog post, you can't even get a glass of Opus One's nonvintage second label for $28. But I know that the next time I have Opus One, I'll remember Hideo Nomo and the strikeouts and one of the most satisfying glasses of wine I've ever had. Don't try paging me; it ain't 1995 anymore. Follow me on Twitter: @wblakegray and like The Gray Report on Facebook. Great story. I really enjoyed the set-up complete with the tense moments. Well played.